Thank you, Gal Gadot and Patty Jenkins for bringing this to the screen. By now, we all have heard how you need to see Wonder Woman in the movies. But seriously, you NEED to watch it. 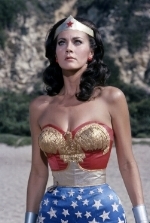 I remember watching the re-runs of Wonder Woman with Lynda Carter after school with my grandma and was inspired by her bravery. When I heard that Wonder Woman was coming to the big screen; I was excited but worried because we all seen some terrible superhero movies. Some are so good, and some are just .. ya know..
First of all, I was excited to hear that Gal Gadot was playing Diana Prince aka Wonder Woman. I loved her ever since she was in the Fast and Furious movies. She was just a dope woman who was not only beautiful but confident and can hang with these tough boys. Also, to have a woman direct this blockbuster film; you know we had to support this. Patty Jenkins came and slayed this movie. Just in case you didn't know she was the writer and director of the movie 'Monster'; which got Charlize Theron an Oscar. This film is more than a “girl power” movie; this is a movie that everyone needs to see. It's smart and intelligent. It's action-packed and has real human emotions. You have a great time watching all these characters strive in their roles. All the actors brought their characters to life on screen. Hey, Chris Pine.. still looking so good. Seriously, watch this movie. If you want a real blockbuster this summer; see Gal Gadot slayin as Wonder Woman. Also, can we please have Patty Jenkins just do all the Justice League movies? Like really.. tho..
What was your favorite moments in Wonder Woman?